Kelton Cullenberg of Chesterville won for his commitment to service, leadership, athletics and academics. The inaugural award that goes to a male senior student-athlete who best exemplifies a commitment to service, leadership, athletics and academics goes to Kelton Cullenberg of Chesterville. 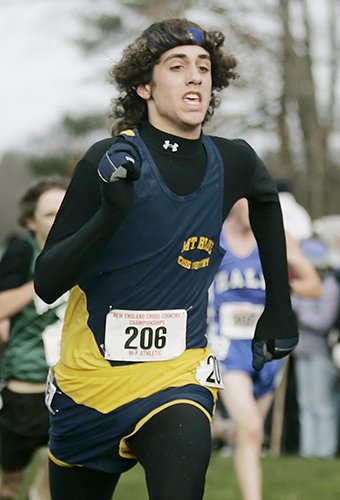 Cullenberg, who was captain of three UMaine teams, was the first Black Bear male runner to compete in the NCAA Cross Country Championship since 1979 and posting a perfect 4.0 grade point average. America East has handed out a “Woman of the Year” award since 2006. But this is the first time that there’s been a similar award given to a male athlete.